SOMNOtouch™ PSG - Home &amp; Ambulatory PSG | When size matters! An AASM headbox is included. 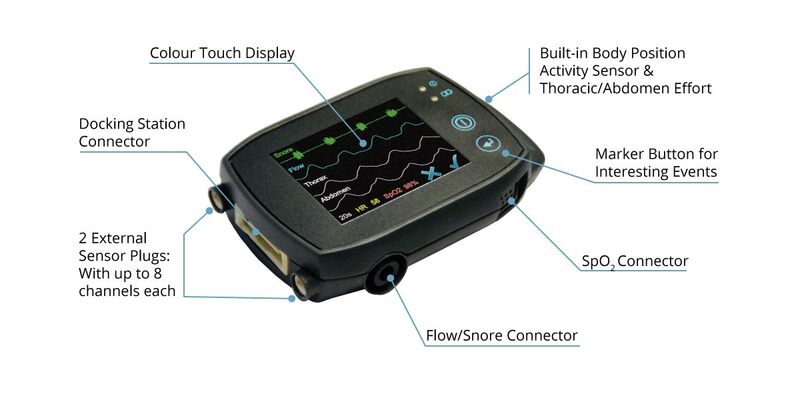 The SOMNOtouch™ PSG is the smallest fully AASM compliant Polysomnography device on the market today. where reimbursement demands a video e.g. 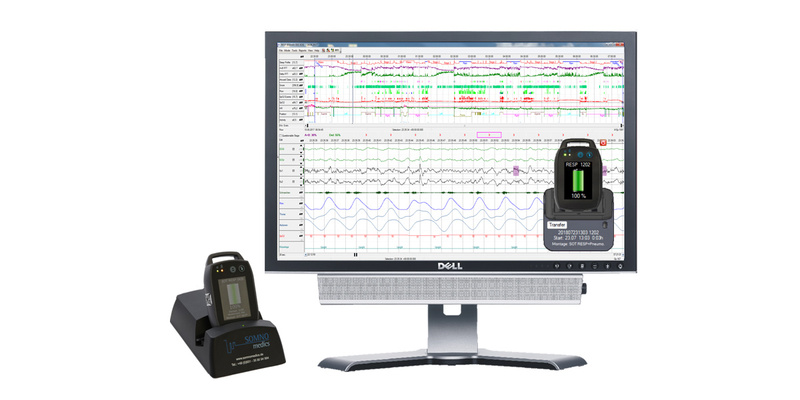 for paediatric or adult ambulatory polysomnography. 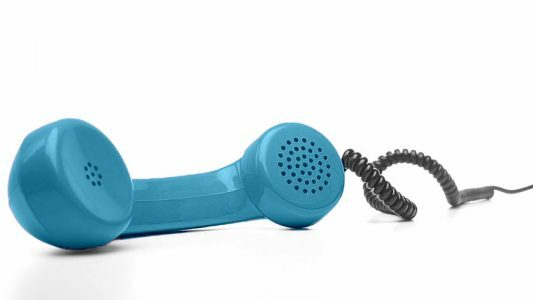 With this, synchronous video may be required, but one can’t have online recording due to network or location restrictions. Innovative Ambulatory Video – Why not make every room a sleep lab? SOMNOtouch™ PSG – Home & Ambulatory PSG – combines the highest comfort and the best technology in an extremely small device. Even though it’s hardly larger than a credit card, real-time data is displayed on the high-resolution touch screen. In addition, the measurement data can also be transferred to tablet and smartphonefor a signal check. Extremely light weight, only 64g including the battery, yet very powerful. Integrated sensors and the built-in Li-Ion battery keep the running costs per measurement low. 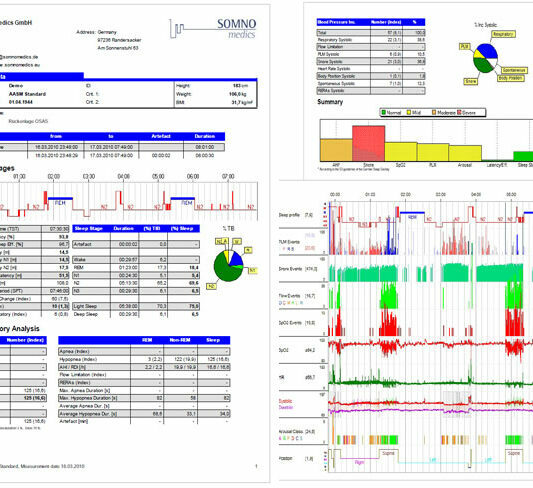 The headbox for ambulatory sleep staging records 4 EEG, 2 EOG and 1 EMG. 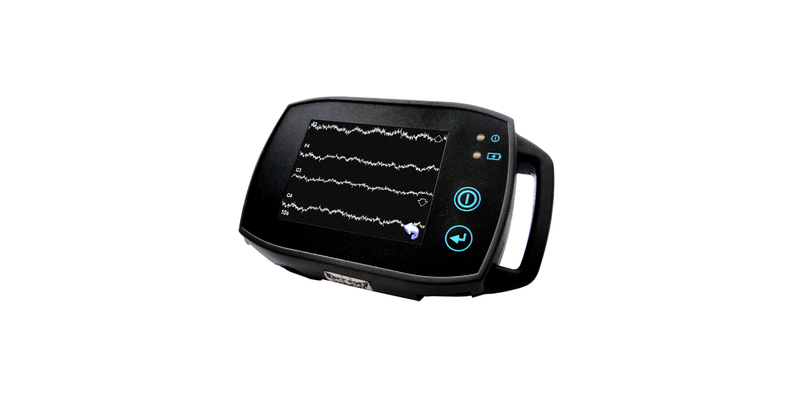 In addition, combination sensors can be used to record PLM and ECG in order to complete the signals required for polysomnography. Up to 16 channels can be connected via the two open auxiliary connectors, e.g. 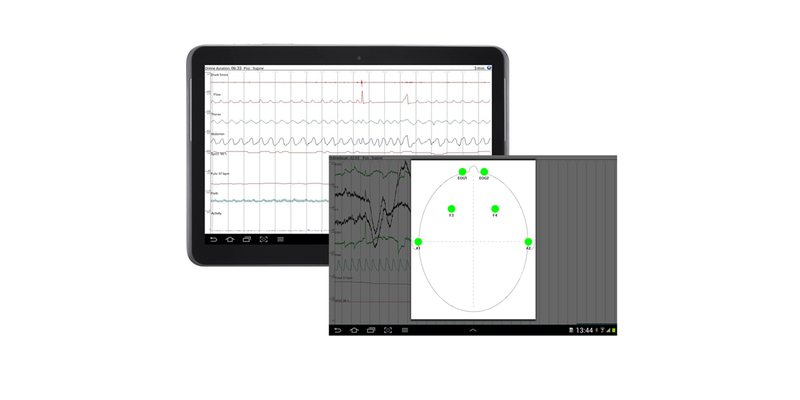 PLM, ECG, EEG, EOG, EMG. 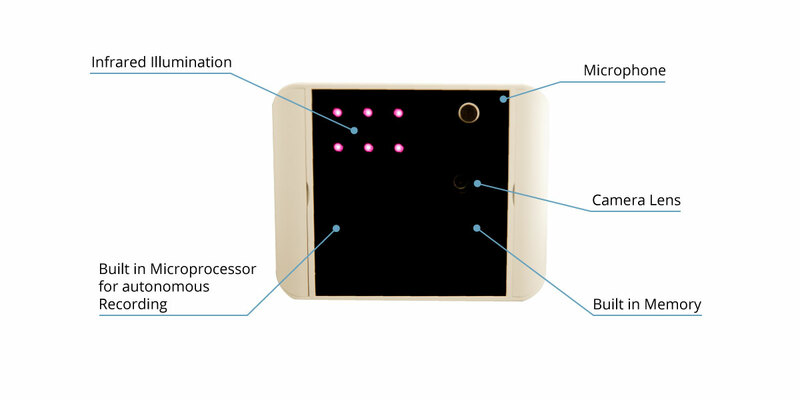 Initialise a recording with SOMNOtouch™ PSG and the Home Sleep Camera. Both devices need to be connected to the same PC: The SOMNOtouch™ PSG via its docking station, and the Home Sleep Camera via LAN cable. 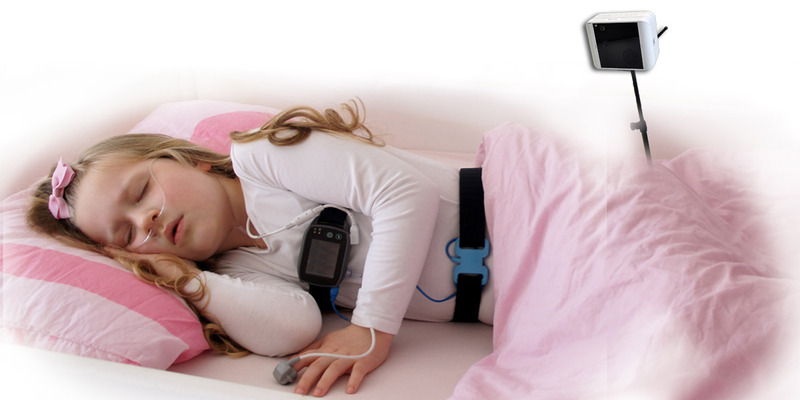 Give SOMNOtouch™ PSG and Home Sleep Camera to the patient. 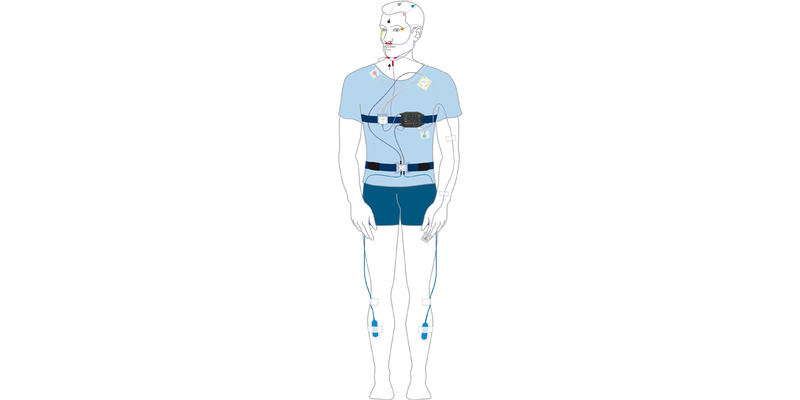 Apply sensors and electrodes at the patient. Patient sets up camera at home in the evening: Assembles the tripod, connects to a power supply. The video recording will start automatically at the pre-definded time. Transfer recording including video. Both devices need to be connected to the same PC: The SOMNOtouch™ PSG via its docking station, and the Home Sleep Camera via LAN cable. The docking station charges the Li-Ion battery of the SOMNOtouch ™ RESP and regularly loads free firmware updates. So your SOMNOtouch ™ RESP is always up to date. The virtual docking station on the PC displays the current status of the device. 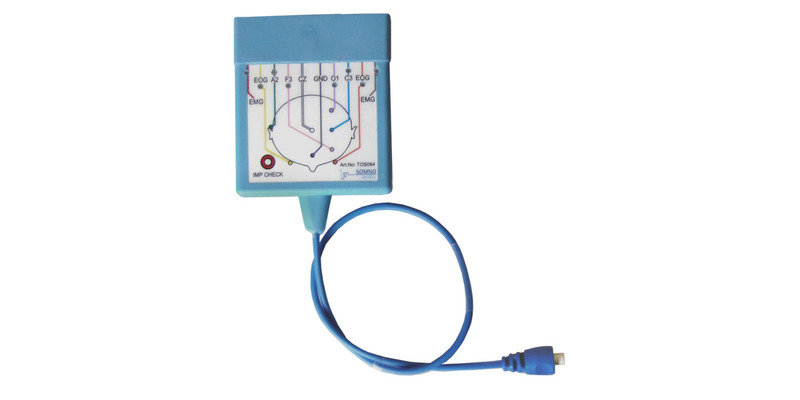 With the innovative Intelligent Connect™ Technology: Both AUX slots can be used for any sensor that fits, the devices automatically detects which sensor has been connected to it. Therefore patients can not confuse many of the sensors when they apply the device themselves; physicians on the other hand do not always have to pre-chose a montage. Transfers the measured data to your tablet, PC or smart phone for instant signal check – right at the patients bedside or mobile as a screenshot. Transfer times and periods can be programmed individually. 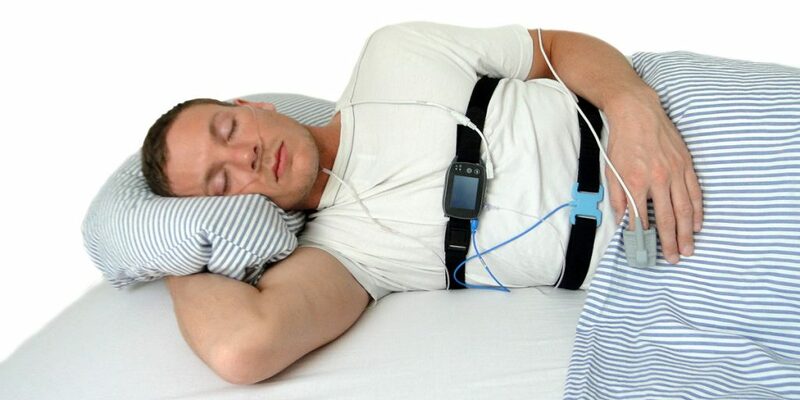 SOMNOmedics uses an innovative patented algorithm to measure blood pressure via the Pulse Transit Time (PTT). The PTT is the time required for the pulse wave to propagate along the vessel wall between two defined points. In the case of the SOMNOtouch RESP – From the left ventricle of the heart (defined by the ´R´peak of the ECG) – to the detection of the pulse wave at the finger tip (detected by the plethysmograph).